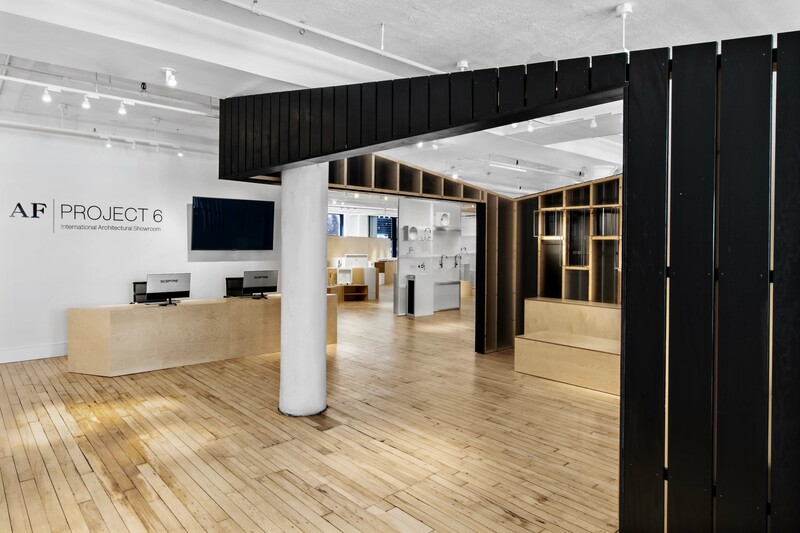 With 10,000 square feet of space in Manhattan’s Flatiron District, Project 6 is the first international architectural specification showroom in the nation. 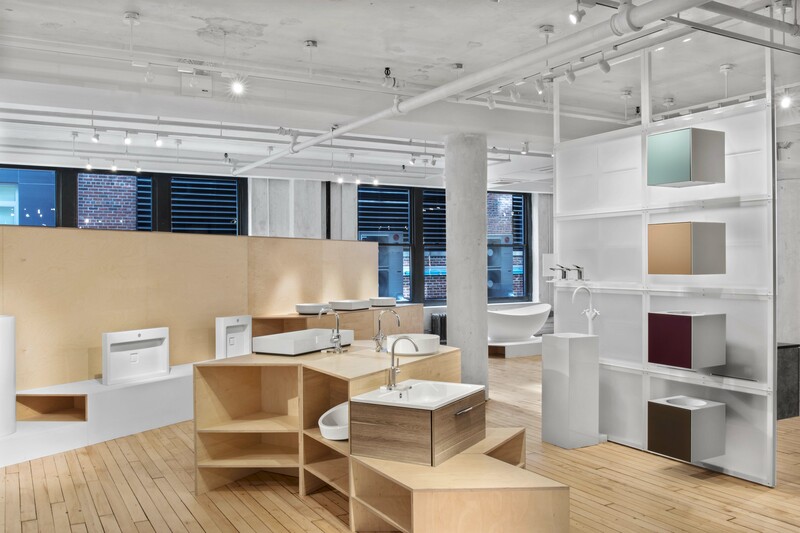 Dedicated to high-end bath fixtures and faucets, it’s up on the sixth floor at 22 West 21st St, above a 10,000 square-foot existing showroom. 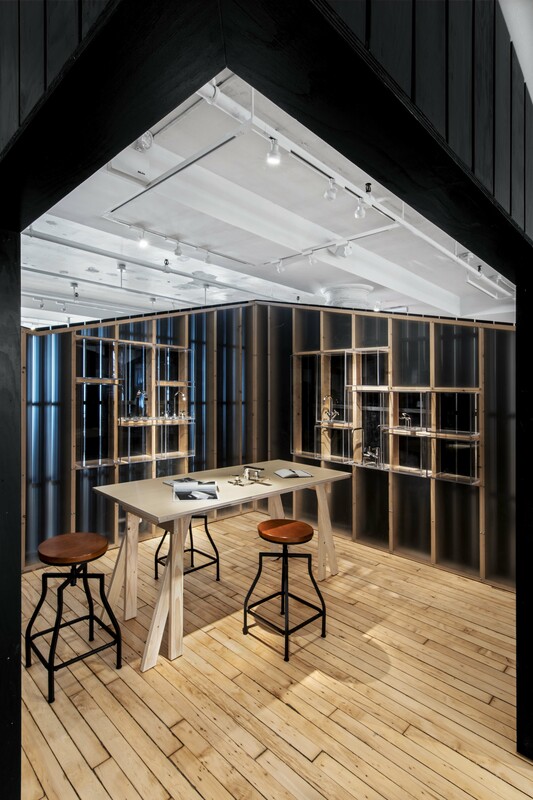 The new space was designed by architects for architects. 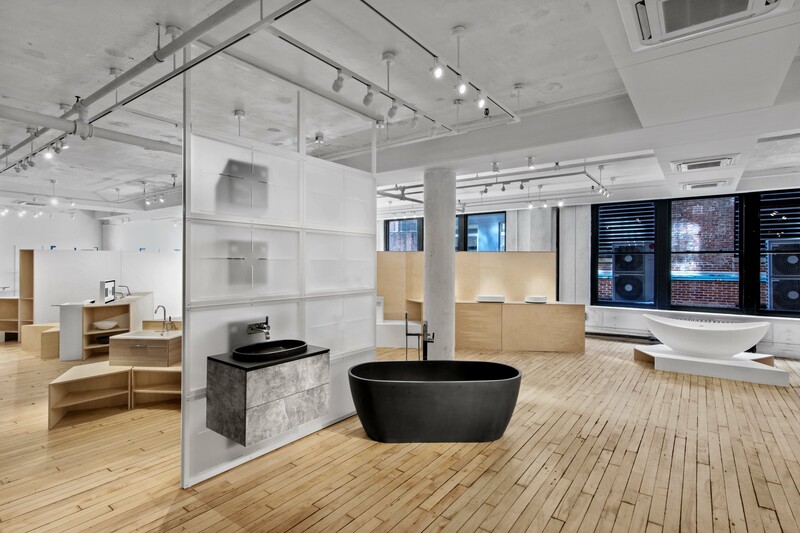 The client, AF / New York, wanted a design-driven showroom for bath fixtures and faucets, as well as the highest quality architectural elements and materials. 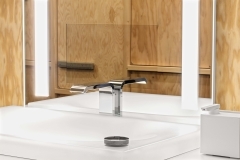 Prominent designer brands include: Toto, Dornbracht/Alape, Clarke, Blanco, Valli & Valli, Caesarstone, Anoma and LuciteLux. 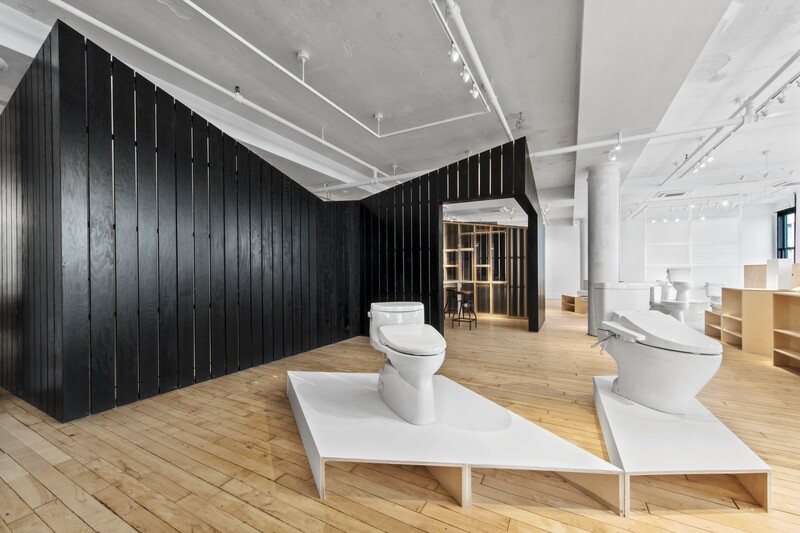 AF New York also designs custom product in collaboration with architects and industrial and interior designers. 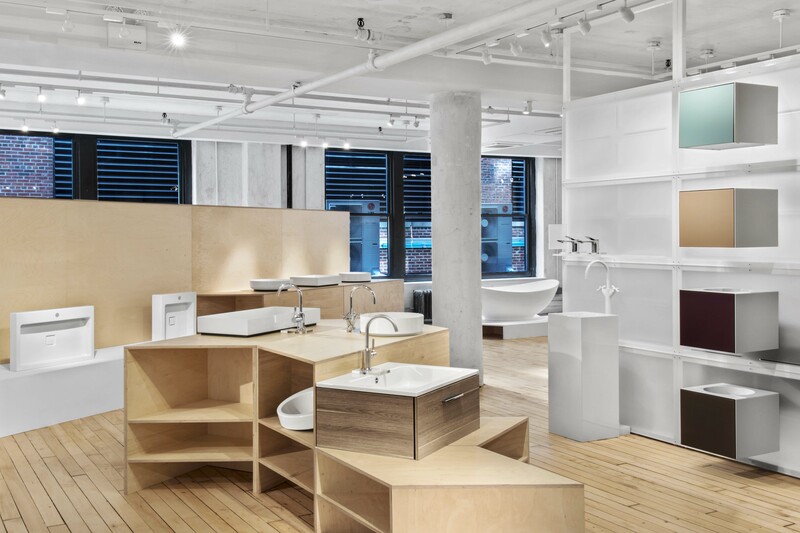 “We wanted to create a showroom situation for use by professional architects and their clients in New York City, home to the largest majority of architects in the world,” says AF New York principal Bennett Friedman. 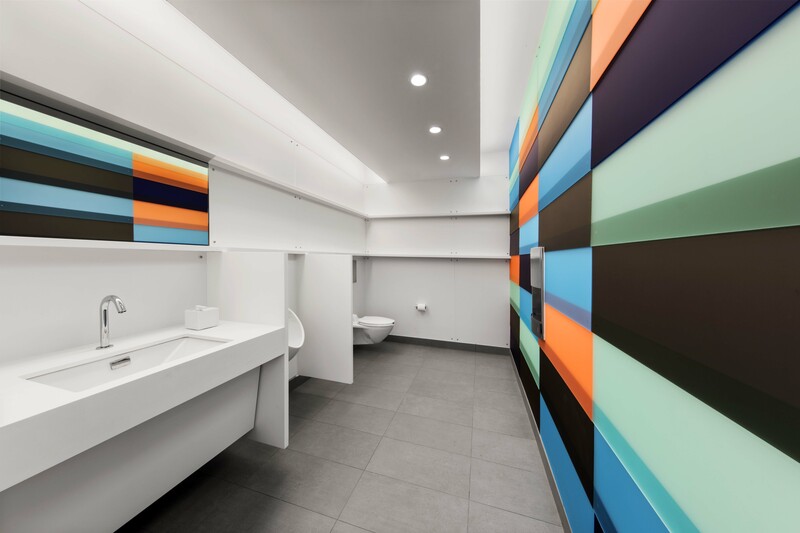 The design intent is to highlight products and give architects and clients reasons to cross-pollinate between brands – and to bring together a select group of products for a project. 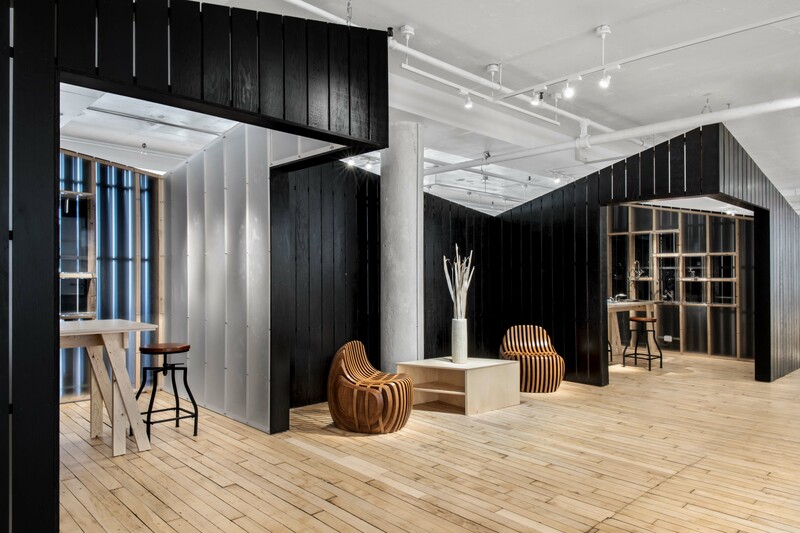 The space can be customized for special events related to product launches or the design community, for events like TED talks – or conversations between developers and architects. 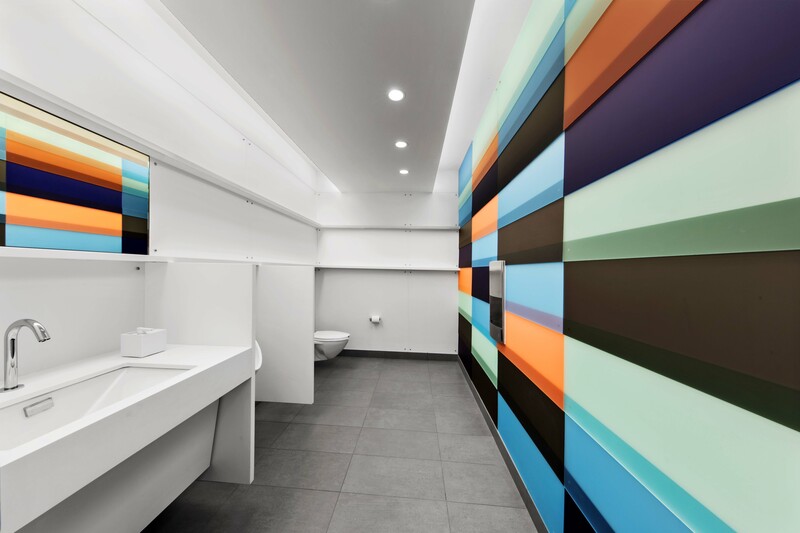 And here, product design is elevated – an approach for the design itself and for application to home or offices. 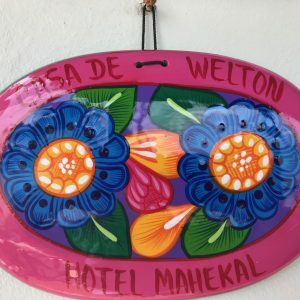 But mostly, it’s about interaction, customization and collaboration between homeowners, developers, architects, interior designers and even construction engineers. 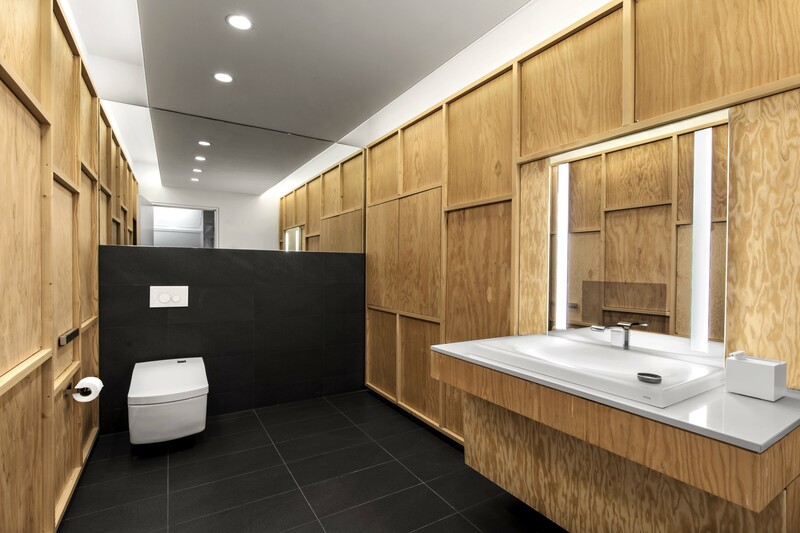 “It’s like a group conferencing format,” says architect Chia. 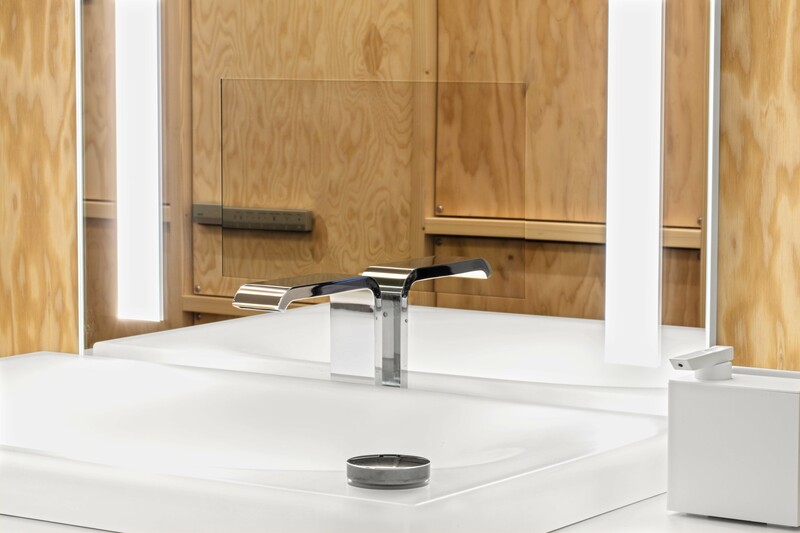 Except this is in real time – and three dimensions.